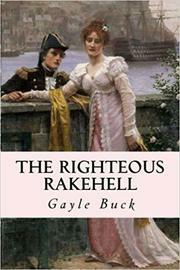 For some reason, the word rakehell occurs often in romance titles. Is it due to the belief that women are attracted to bad boys? noun: A licentious or immoral person. By folk etymology from Middle English rakel (rash, hasty). Earliest documented use: 1547. Ian Shuttleworth; Thoroughly Unlikeable, Highly Enjoyable; Financial Times (London, UK); Sep 29, 2016. See more usage examples of rakehell in Vocabulary.com’s dictionary.